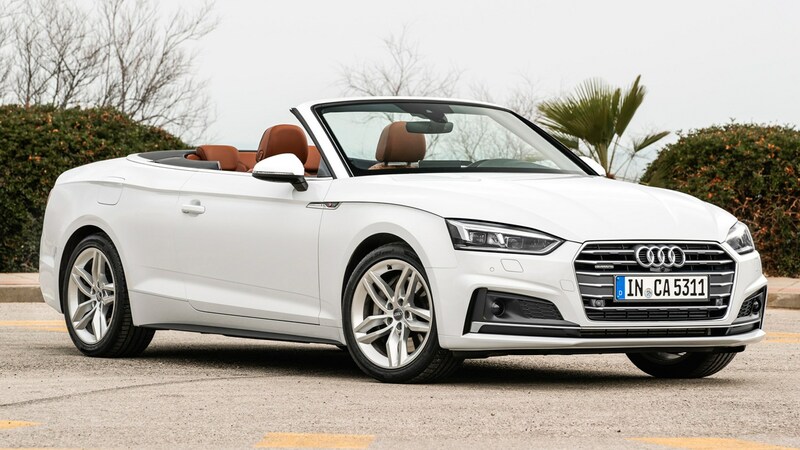 The Audi A5 was created to fill the void between the A4 and A6 models but instead it unveiled an incredibly diverse and innovative model that can provide for an expansive range of drivers. The A5 is now available in three different body styles and transmission selections alongside six different engines. You have a choice between the two-door coupe, the drop-top cabriolet and the four-door sportback. Driver’s can also enjoy spreading out into a variety of personalities as well. Perhaps you’re sport-focused and thrive off of the purring supercharged 3.0 Litre V6 engine of the high-performance S5. Or maybe you enjoy a breezier cruise in the 2.0 TDI model coupe that’s pushing 4.7 Litres per 100km selling for $68,000 rather than the $135,900 of its sportier cousin. In 2012 Audi decided that they could keep up with the fast-changing standards for better consumption rates without losing integrity in performance, or at least gives the driver the option. For example, an innovative efficiency system in lower spec cars allowed the driver to change modes in order to dull the throttle input while the electro-mechanical steering offers gains of 3.0 Litres per 100km in consumption. With both the A5 and S5, over two-thirds of all buyers tend to go for the diesel option, but the choice is there. If you’re buying or selling an Audi A5 it’s good to be in the know about this wide-ranging car. Are You Selling offers free car valuations and cash for cars, but it never hurts to be informed about a sale ahead of time. Fuel economy: 4.4-6.7 litres per 100km depending on engine, tires, transmission etc. Now fully automatic acoustic hood that can be opened and closed with one-touch function while driving at speeds up to 50 km/hr. It takes 15 seconds to open and 18 seconds to close and is well insulated to ensure proper aeroacoustics. The newer models are also 47mm longer, have a flatter rear window, a wider single-frame grille at the front, wave-shaped shoulder lines adding to the sporty appeal. While the new generation has possibly the stiffest and sturdiest body of all time, it also weighs in at 40 kilograms less than its predecessors. The Cabriolet now comes equipped with partial leather seats, seat-belt microphones, xenon headlights, and options for virtual cockpit and various safety systems. Pros: Functional soft top, ample technology features, aesthetically pleasing. Cons: Tight leg room at the back. If you’re selling your Audi or looking at buying a new one, these figures offer a starting point to get your head around how your car fits into the overall picture. As always, you can contact Are You Selling for a free quote and car valuation and you’ll be on your way to cash for your car in no time.